These are Single Shot Glasses. Every one is decorated with a theme from the Hit TV Show Breaking Bad. Our Heisenberg Profile and five options from the Tom Lamb Collection are the current options. Shot Glasses should should be hand wash only. 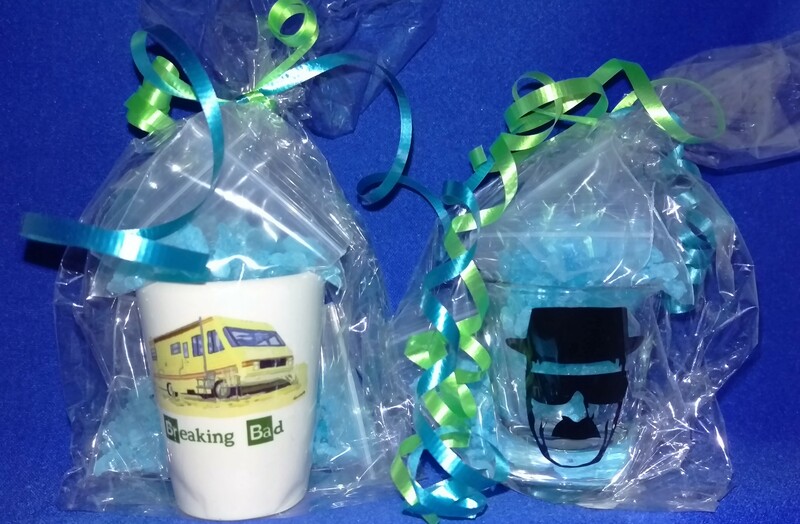 Every Glassware comes with five “dime bags” of Breaking Bad Candy. These have been a Favorite at Comic Cons in Albuquerque and Breaking Bad Tour Participants. Show them off in a glassware bar they are definitely conversational pieces.